Mountains appeal to people. Climbing a mountain is a boasting opportunity and can be spiritually fulfilling. Mount Shasta is a nice example -- it stands in lofty splendor at some distance from other peaks, with the conical shape which tells you it is a volcano. 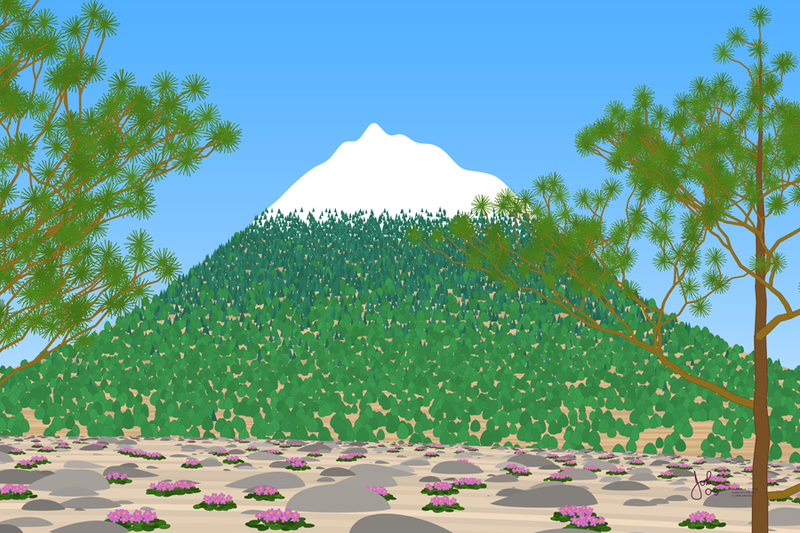 The view here is that of someone standing on a neighboring high peak, with a foreground of alpine flowers and rocks framed by two gnarly pines. Shasta is popular for climbing among energetic people in their twenties and thirties (and some older).